George Steele is an attorney with offices in Pasadena, CA. He represents a broad range of clients in unique and complex matters requiring creative approaches. His breadth of experience enhances his ability to embrace a wide range of issues and to think "outside of the box" when fashioning a solution. Prior to starting his own law firm, Mr. Steele gained expertise and became a highly effective litigation and patent attorney at a various law firms in California and Maryland, both large and small. Before entering private practice, Mr. Steele honed his patent skills at the United States Patent and Trademark Office, and his trials skills at the Office of the Los Angeles Public Defender. He now brings his passion, determination and know-how to representing clients in the areas of Intellectual Property, Indian Law, Criminal Law and Complex Litigation Matters. Before joining the world of law, Mr. Steele was a Naval Aviator in the United States Marine Corps, flying CH-46 assault helicopters. He was also an engineer on the Titan IV expendable launch vehicle program, specializing in payload-to-launch vehicle integration. 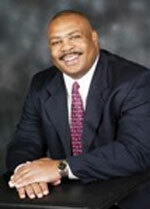 Mr. Steele received his Juris Doctor from the University of California –Los Angeles School of Law and his Bachelors of Aerospace Engineering from the Georgia Institute of Technology. He is admitted to practice law in the state of California, the United States District Court for the Central and Eastern Districts of California, and the United States Court of Appeals for the Ninth Circuit. Mr. Steele is registered to practice before the United States Patent and Trademark Office. He is also a member of various legal organizations, including the American Intellectual Property Law Association and the California Attorneys for Criminal Justice.